If the thought of sweet and spicy in combination gets you salivating, you’re not alone. 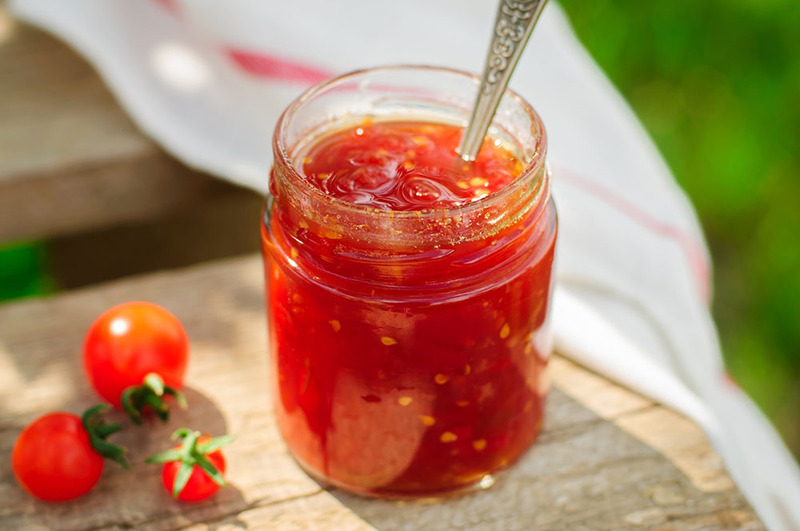 Give our yummy strawberry and chili pepper jam a try. You’ll love how easy it is to make! The recipe makes eight small jars of jam, so we always have plenty on hand in our own pantry. We love to spread this tasty jam on a creamy piece of Brie, fluffy biscuits, or crackers and cheese. For a quick appetizer, just mix it with cream cheese for a party-pleasing dip! Mix together strawberries, jalapeños and pectin in a large saucepan. Bring mixture to a boil that can't be stirred down. While the mixture is heating up, zest and juice the lemon. You should have about 1/4 of a cup of lemon juice to add to the pan. Add a pinch of zest if you like the lemony zing! Add the sugar and continue to boil, stirring constantly, for 2 minutes. Add the chili flakes for extra heat. Stir thoroughly. Fill eight sterilized canning jars with jam, up to 1/4 inch from the jar rim. Top with jar lids, and screw closing rings tightly. Place jars in a deep stockpot filled with boiling water until the jars are covered by 2 inches of water. Cover the stockpot, and boil for 10 minutes. Let jars cool overnight. Press the top of each jar with your finger to make sure it is completely sealed.